Luongo back to Florida capping a crazy day for goalies. The NHL trade deadline may be tomorrow, but that hasn’t stopped anyone from executing trades today. Today, it seemed like goalies were the focus of the moves, with Viktor Fasth going to Edmonton, Ilya Bryzgalov to Minnesota (and not Martin Brodeur), and now the biggest trade of the day, the Florida Panthers sending Jacob Markstrom to Vancouver, in exchange for Roberto Luongo. The trade was Luongo and Steven Anthony to Florida, in exchange for Jacob Markstrom and Shawn Matthias. It seemed that Luongo’s days in Vancouver were numbered, after Eddie Lack was given the nod to play the Heritage Classic on Sunday. This means the survivor of the Canucks long standing goalie battle is Eddie Lack, after Luongo’s trade today, and Cory Schneider’s trade to New Jersey on draft day last summer. Go figure. This trade was obvious for the Canucks, with their season gradually falling apart from injury and controversy, and with Luongo’s albatross contract. The trade wasn’t obvious at all from the perspective of the Panthers. The Panthers now pick up most of the contract, with the Canucks eating 15% of the money, and have a cap hit of just over $4.5M from now until the 2021-22 season. 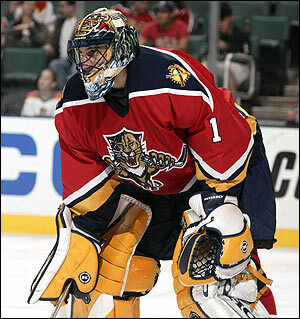 The Panthers also have a starting goalie in Tim Thomas, and had a bona-fide prospect in Markstrom, until the trade. It seemed to me, that the Panthers were set in goal for a while, despite Markstrom’s recent struggles. Now, they have a heavy contractual burden of a 35-year-old netminder, whose best years are arguably behind him. The Canucks now have Markstrom to play behind Eddie Lack, who has been good this year. But with that trade happening, and another potentially around the corner involving Ryan Kesler, it seems clear that the Canucks are blowing up, and starting over. They have been fading out of contention since their Cup Finals run in 2011, and gradually weakening as the days went on. Now, it seems like they are poised to bottom out, and start rebuilding. I have a feeling that neither team is a real winner here. The Canucks finally unloaded the contract, but seem to have jumped the cliff into rebuilding. The Panthers picked up said contract, and got significantly older in net. The real winners may actually be Roberto Luongo and Eddie Lack, both of which have starting jobs. Luongo can now breathe a sigh of relief from the pressure in Vancouver, and soak in the sun of care-free Miami. Lack now has a starting job in the NHL. Tune in tomorrow for more trade deadline coverage. Ryan Miller to the St. Louis Blues – Who wins this trade? The trade deadline is approaching fast, and the first big trade was made Friday, between the St. Louis Blues and Buffalo Sabres. The deal is a blockbuster. Blues get Ryan Miller and Steve Ott, Sabres get Jaroslav Halak, Chris Stewart, William Carrier, a 2015 first round pick and a 2016 first/third round pick (depending on if Miller stays with St. Louis). The question we are asking, is who wins this deal? 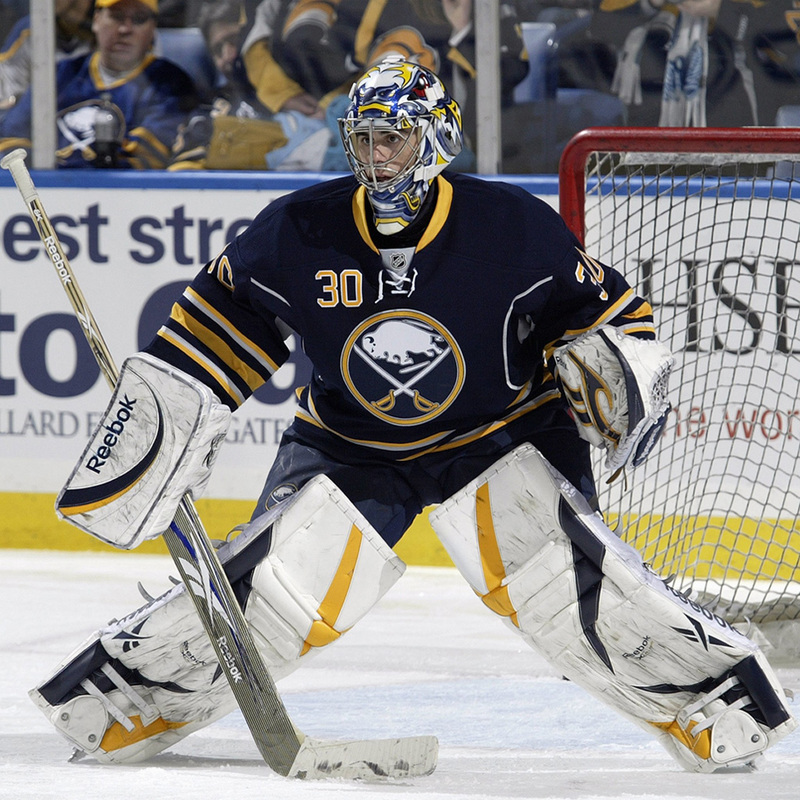 St. Louis Blues: The main portion of this deal is Ryan Miller, who is one of the top goaltenders in the league. The Blues had decent goaltending, perhaps boosted by a stellar blue line of Jay Bouwmeester, Kevin Shattenkirk, Alex Pietrangelo and crew. But now, they have a top-line if not elite netminder in Miller. One of the hardest teams to score on just got a lot stingier. Also, Steve Ott is a very serviceable grind-it-out forward, with great leadership capabilities and some playoff experience. The Blues got exactly what they needed to become instant Stanley Cup contenders, if they haven’t been already. Buffalo Sabres: The most obvious fire sale in the league has commenced. We all knew that Ryan Miller was going to go, it just was hinging on the return they could get for him. They got a very good return. Chris Stewart is on the younger side, 26 years old, and has 50 points per season potential. He’s also a bigger, tougher forward who can get to the dirty areas. Jaroslav Halak may not be staying in Buffalo long, because he’s also an expiring contract, but he’s a very solid goalkeeper whether they keep him or not. They also received a prospect and 2 draft picks, and potentially 2 first round picks at that. They are building toward the future, and those picks and players they received in the deal puts together a good return for the Sabres. Verdict: Both teams accomplished what they wanted in this deal. The Blues got better in areas they desperately needed, and the Sabres got a massive return for a contract they weren’t sure they could retain. Obviously, the Blues win the deal from a now perspective, and the Sabres get a huge boost for their rebuilding process, possibly winning the future portion of the deal. There is no clear cut winner, because both sides really got done what they wanted to. I originally had in mind to watch the USA vs. Czech Republic game this afternoon, thinking it’d be somewhat competitive, while Canada would walk all over Latvia. The USA beat the Czechs 5-1 to secure a spot in the medal round, which wasn’t a huge surprise. The Canada vs. Latvia game, meanwhile, made it’s case for game of the Olympics. Most of the game was played in the Latvian end of the ice, with Patrick Sharp potting the first goal of the game at the 13:37 mark of the first period. At this point, I thought still that it’d be a blowout, and it wasn’t worth tuning in. But the USA game took a small break in the play to clear off the ice, and I switched channels, just in time to catch something crazy. A set play off a faceoff saw Arturs Kulda spring loose Lauris Darzins for a breakaway and a goal on Carey Price to tie the game. The fans draped in maroon were jumping for joy. I was in disbelief. Meanwhile, at the other end of the ice, Latvian goalie Kristers Gudlevskis was playing his heart out, stopping 15 of 16 in the first, and then all 19 shots in the second, to keep Latvia in the game. At the second intermission, I decided that this was the game to watch, because something special might happen. At this point, it looked like the Canadians had a power play for the whole game. But every scoring opportunity the Latvians had, at any rush down the ice, you could hear the Latvian supporters cheering vigorously. The game was exciting. There were two moments in that third period had me believing that this upset was possible. First, a slap shot was fired from the point that felled Latvian defenseman Oskars Bartulis, who was clogging the middle. Bartulis was down on the ice for a few seconds, then got up, but was skating on one leg for the remainder of the shift. That moment was reminiscent of Gregory Campbell fracturing his leg blocking a shot in the Stanley Cup playoffs last year. Second, a scramble in the net occurred after Jonathan Toews of Canada fired a shot that the Canadian team was convinced was in the net. The referee on scene called the play dead and went to the replay booth to confirm the call. The replay showed how remarkably close the Canadians were to the lead. The puck dribbled underneath Gudlevskis, and partially crossed the line when defenseman Kristaps Sotnieks gloved the puck and dragged it under Gudlevskis for a whistle, and to take away the goal. The Latvians got a couple of chances to take the lead, until Georgijs Pujacs commited a penalty on which Shea Weber scored, giving the Canadians a 2-1 lead. At this point, at stoppages in the play, a trainer was coming off the bench to help Gudlevskis deal with fatigue. Gudlevskis finished the game with a whopping 55 saves on 57 shots. It wasn’t enough. When Canada scored, I knew in the back of my head that it would put them over the top and win them the game. But I refused to believe it. The game ended 2-1 Canada. Despite the loss, the Latvians got a standing ovation. They outhit the Canadians, and Gudlevskis so badly outplayed Carey Price, that they really deserved the win, despite getting outshot 57-16. Not to say that Canada played poorly, they played their game to near perfection. They just ran into a goalie who had the game of his life. It would have been an upset for the ages, though. Despite it not happening, the Latvians deserved it. The game didn’t have the camaraderie of a USA/Canada game, that we will get on Friday morning. The game didn’t have marquee names on both sides of the ice. The most notable players on the Latvian side are Zemgus Girgensons and former NHLer Sandis Ozolins. But it certainly had the excitement of one of those games. It will be tough to unseat this game for game of the Olympics. Is losing Stamkos going to really affect Canada’s chances at gold? Steven Stamkos has missed the last 3 months of hockey, recovering from a broken tibia suffered on Veteran’s Day in Boston. He was looking at this weekend for his return, after rehabing well ahead of schedule. However, while seeking clearance from doctors to play again, it was revealed that the injury hasn’t completely healed, and that Stamkos would need to be pulled out of the Olympics. Stamkos is widely known as one of, if not the, best pure scorer in the NHL. He was leading the NHL in goals at he time of his injury. But since then, he’s been sidelined, with the hopes of being able to play in Sochi. Now that that won’t happen, Canada had to look for a replacement. Team Canada has plenty of offense to spread around, and it’s not to say that their high-powered attack will be hampered in any way by Stamkos’ absence. In fact, the player Canada chose to replace Stamkos is also a member of the Tampa Bay Lightning, Martin St. Louis, nearly just as dangerous with the puck, and one of the most elusive players in the game. Stamkos will need more time to be re-evaluated, with the injury apparently not healing 100%. It makes sense that he was pulled from the games. St. Louis will be a more than serviceable replacement. Team Canada is still stacked to the brim with talented offensive players. The Canadians will still be the obvious favorites come puck drop in Sochi. I will reserve my opinion on whether Team Canada will actually take gold in the games, but losing a guy with the ability to strike any time like Stamkos will always make a difference. Not to sneeze on St. Louis, who has stepped his game up dramatically since the injury to keep the Lightning in contention, but Stamkos is a once in a lifetime talent, with the ability to score at will from anywhere on the ice. Players like that are invaluable, and it may hamper Team Canada, just a little bit. The gold medal is always far from a guarantee with any team, but having a guy like Stamkos can never hurt your chances. He will be missed by the Canadians, for sure. 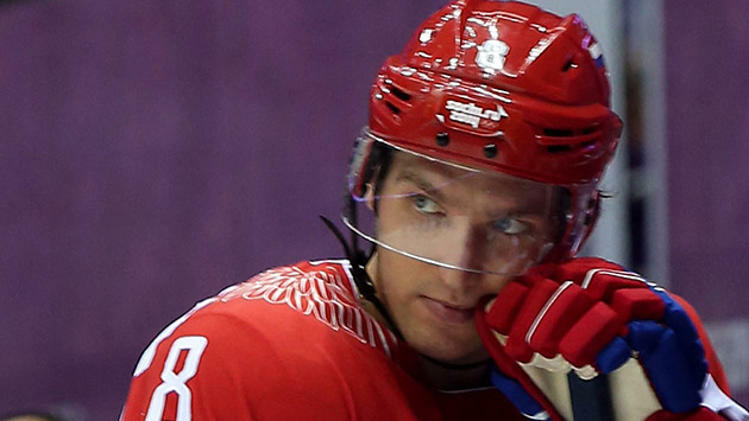 The NHL is issuing a roster freeze for the Olympic break, starting on Friday. Many people are considering this to be a quasi-trade deadline, and GM’s are looking to make moves to help their team toward the playoffs, or rebuilding mode. Let’s take a look at the top trade targets, and see if they are going to be moved or not. Marian Gaborik, Columbus: Gaborik has serious talent, scoring at least 60 points 6 times over his career with Minnesota, New York, and Columbus. He has an expiring contract, and we aren’t quite sure if he’s gonna stick around in Columbus. The news on him has been more from the injury front, as he’s recovering from a broken collarbone. But when he is healthy, he’s an asset that many teams can look to for offense. I would expect teams like Montreal, New Jersey, Minnesota, or Los Angeles to consider a deal for him. Thomas Vanek, N.Y. Islanders: He already has been traded this season, but recent news suggest that there may be another deal in Vanek’s future. He was offered a long term deal from the Isles’ front office, and turned it down in favor of his impending free agency. He’s in all likelihood the top offensive target on the trade market. However, considering that teams know he would be testing free agency, it may be a deterrent to trade for him, when they can simply offer him a contract this summer. The Isles would want to trade him, but finding a partner may be a challenge. Minnesota is a top destination for him, according to rumors. Matt Moulson, Buffalo: The other portion of the Vanek trade, Moulson, is in a very similar position as Vanek. They are the same age, and set to be an unrestricted free agent come July. He is very good offensively, and is responsible in the defensive side as well. I wouldn’t be surprised if he decides to stay with Buffalo, and give them some veteran presence up front among all the up-and-coming youngsters. But it would be less of a shock if he decides to test free agency, and sign elsewhere. The Sabres would be well off to trade Moulson to a contender, and continue to build to the future. Ryan Miller, Buffalo: Miller is the glue to the Sabres’ roster, as of now, due to him stopping more pucks than counterpart Jhonas Enroth, and providing the Sabres’ offense a chance to score enough to win. However, the landscape in the front office in Buffalo has been in flux since the beginning of the year, and Miller said recently that he doesn’t know what’s going to happen. He has a no-trade clause, meaning he can pick and choose 8 teams to not be traded to. No word on who those 8 are. But Miller will be a highly sought after asset, and teams in need of goaltending will inquire about him, such as Toronto, Philadelphia, Washington, or Winnipeg. Steve Ott, Buffalo: Yet another Sabre on the list, because he’s a valuable commodity and expiring contract. Ott brings a grinder presence and much needed leadership to any team, and isn’t very expensive. Teams in need of playoff-ready forwards should be hunting after this guy, much like San Jose or Washington. However, he has a steady position with the Sabres, and they would likely want to keep him around. Don’t be shocked if he stays put this season. Michael Cammalleri, Calgary: One of the few bright spots on the Flames’ offense, Cammalleri is having a tough season, with only 21 points in 39 games. But he has the speed and offensive talent to be able to get things done on offense. His contract expires this off-season, and the Flames are attempting to extend the 31 year old, and keep him around. In all likelihood, if he doesn’t agree to terms by the trade deadline, he would likely be traded to a team who needs offense. The New Jersey Devils have been rumored to have serious interest in Cammalleri, in lieu of an offensive struggle. Ales Hemsky, Edmonton: He’s been on and off the trade market for quite a while now, but the Oilers have kept him around with shorter deals. Now, the 30 year old is mentioning that he wouldn’t be shocked if he was traded before the deadline. We have heard that before from Hemsky’s camp, but he’s still in Edmonton. But considering the wave of offensive talent that the Oil possess, and having a defensive sieve behind them, it wouldn’t shock anyone if the Oilers dealt Hemsky for a good defensive defenseman. 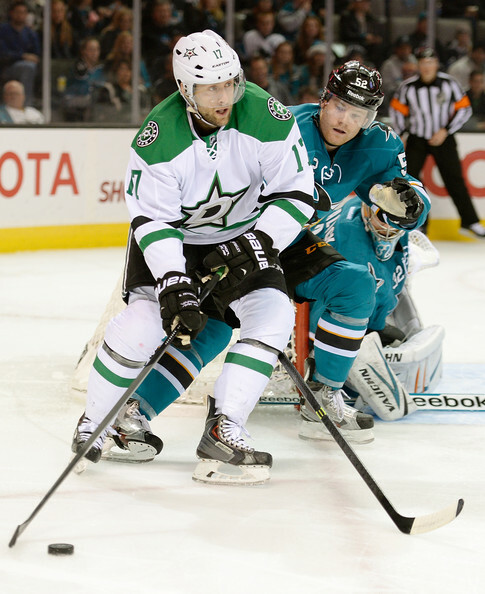 There aren’t any rumors swirling yet, but look for teams to think about trading defense for Hemsky come deadline time. Martin Brodeur, New Jersey: His presence on this list is near blasphemous, but it’s there because Marty’s talked about it. Marty recently has been relegated to second banana guarding the Devils’ goal behind Cory Schneider, and obviously isn’t terribly happy about playing less. He has mentioned that he would consider a trade to a place where he’d play more, but in all seriousness, he won’t be traded anywhere. He’ll be 42 during the playoffs, and has started to show his age, with his save percentage dipping under .900 for the first time, well, ever. But I doubt he’ll get traded anywhere. Jaromir Jagr, New Jersey: He’s slightly older than Brodeur, but significantly more useful. He’s the leading scorer for the Devils, and hasn’t shown any signs of slowing down. His veteran presence has been invaluable to the Devils, who are grooming younger players for the long run, and would be good for any contender as well. However, the Devils are still very much in the hunt, despite being further out than most teams, and Lou isn’t one to be a seller come deadline time. Expect Jagr to remain with New Jersey at least until after this season. Ryan Callahan, N.Y. Rangers: We’ve taken a look at Callahan’s situation earlier on the site, and not much has changed since then. It still seems unlikely that the Rangers would give Callahan the massive extension he wants. GM Glen Sather has mentioned that they would likely have a decision on him before the roster freeze for the Olympics. We shouldn’t be surprised if he gets dealt, or if he doesn’t. The team most likely to move on him is Buffalo, his hometown team, or Columbus, who has been rumored to have talked to the Rangers about Callahan.